Many of you asked me if I only wore this for the shoot after I posted this picture on Instagram – actually no, the mister and I had plans to go the Langham for their afternoon tea ( that I LOVE – he sticks to beer ! ) and I had this outfit picked for that. 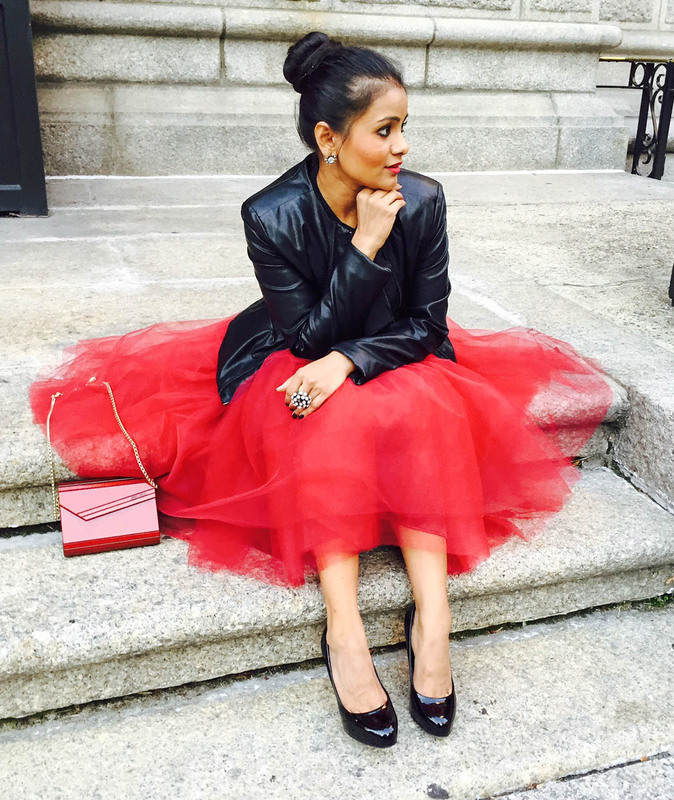 The point being, don’t be afraid to try tulle for any occasion. 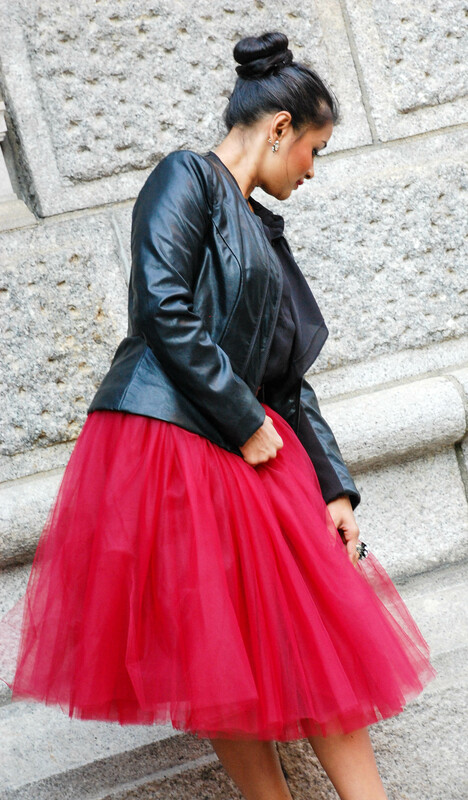 The holidays are the perfect time for tulle. You can just as easily dress them up as you can dress down. The juxtaposition of the leather jacket gives an edge to this super feminine piece and with so much volume on the skirt, I chose a black top – because lets face it – black does take off a couple pounds! Try it with a chambray shirt or a plain tee for toning down the entire look. Top with a statement necklace or go bare in the jewelry department. I prefer a top-knot when there is too much going on in the outfit so it doesn’t look too busy overall. I have met so many talented people through my blog and am so fortunate to have worked with Ganna on this skirt. All her pieces are custom-made and she makes them herself. Her passion and talent is reflected in each piece.